Watch this space for more information when apple season is in full swing. 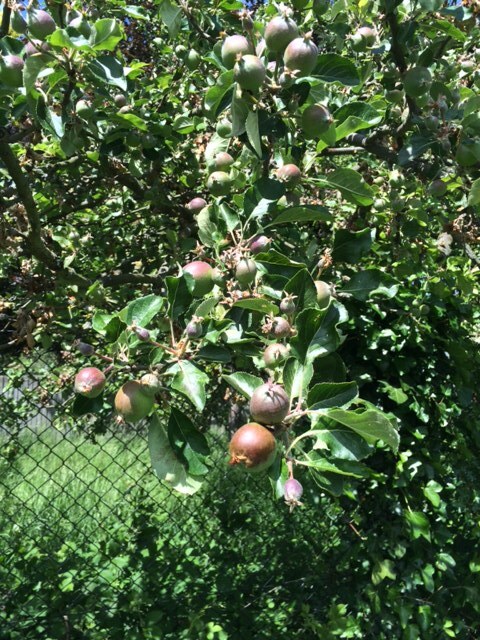 Walmer Gardens Orchard Clear Up Days – This is the Orchard we look after and bringing back to life. We are still clearing nettles, Ivy, elder etc so if you fancy some exercise in beautiful surroundings then come along. To access the Orchard walk along Walmer Gardens until you find an entrance and sign that say April Cottage (it is someones driveway) Walk up and turn left, you’ll see the Orchard which is fenced in. The gate will be open and we will be there. bring along loppers, garden gloves and if you have them secateurs too. You don’t have to email us just come along on the day. Cheers Damaris. I have also responded directly by email to you with a reply to your questions. last year at the Chiswick sale I spoke to Sarah with a view to having a table space this year to sell antique kitchenware. Although I have stopped trading I have a good quantity of items in copper, brass, iron, pewter, wood porcelain etc all in vg.condition and usable. All that I would need is a firm table and be indoors. I look forward to hearing from you. Thank you….Fred Jameson. Hi there I think you mean Sarah from Abundance London who are based in Chiswick. We are separate groups, although do work together a fair amount as we are so close geographically. I’ll send on to Sarah.